Select which companies/clients you wish to include on your report. Select which projects you wish to include on your project. Select which project tasks you wish to include on your project. Select which users/employees you wish to include on your project. 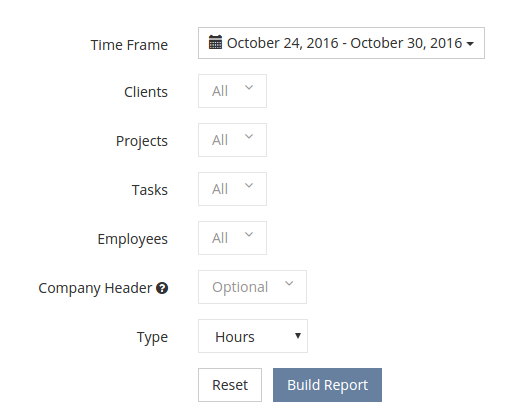 Select which company logo and address to display on the header of your report. You can leave this empty if you do not want a company header. You may select from Hour or Expense reports. You can export your report in 3 formats, PDF, CSV and excel.